To put some dazzle to your Friday this week, I have a beautiful Fabergé brooch to show you! It was purchased from Fabergé by the Imperial Cabinet of Internal Affairs in 1907, to be used as a state gift at a historical meeting of the Russian and German emperors at the Baltic resort of Swinemunde that same year. 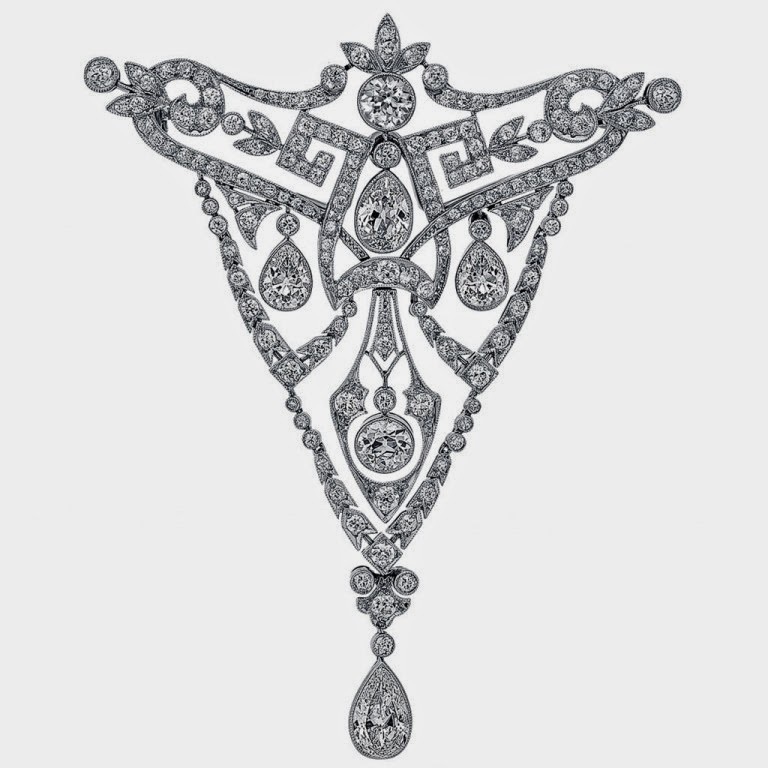 The brooch has a very ornate design, and is made of diamonds set in platinum and gold. It also doubles as a pendant. Tsar Nicholas II ordered a number of state gifts from Fabergé, to be given away during his state visits. Brooches were popular for these occasions, but many other objects were also given away. As long as they were made by Fabergé they were good enough for the Tsar!